For an event or festival with a foodie theme we’ve got tasty acts a-plenty. Famous chefs and juggling chefs, ice cream kings and candy floss queens. 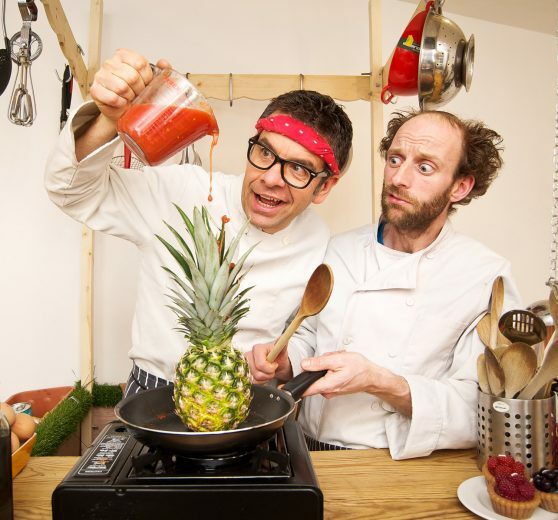 Have a look at our mobile comedy kitchen or consider the vegetable orchestra? Dan was sensational, worked very hard and everyone loved him – would undoubtedly work with him again. Thank you for your support – you were also a pleasure to work with.